Pi Tape Texas, LLC's environmentally controlled Calibration & Recertification Lab continues to be the logical source for qualified critique of precision measuring tapes. Our lab is unmatched in its ability to credibly calibrate and certify our tapes and recertify the instruments forwarded for our review. We are in compliance with ANSI/NCSL Z540-1-1994, ISO 17025, ISO 10012-1, the former MIL-STD 45662 and 10CFR21. Pi Tape Texas, LLC continues to successfully complete onsite audits of our internal procedures from outside sources such as GE, Westinghouse and Lockheed Martin. We have also completed a NIAC criteria based field audit performed by Whiting Corporation, Assessment # 12530. We calibrate and recertify inside and outside diameter tapes, linear rule and circumference tapes. Our Company has years of experience not only in design, but also in the calibration and recertification of a multitude of vernier scales. We have an assortment of ring gages ranging from 0.375" up to 55.000". 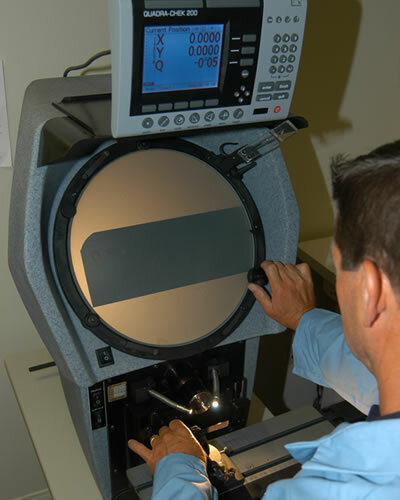 Our optical comparator gives us the ability to check tape accuracy line by line to 0.0002". We also calibrate and recertify special design tapes and Go/No-Go tapes using the same method. Specialized linear machines are used to calibrate and recertify large tapes and are used in conjunction with various instruments calibrated over ring gages. This level of validation is of paramount importance to Pi Tape, our clients and our auditors. 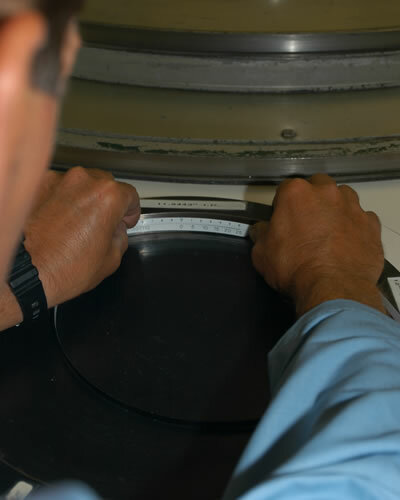 We utilize our specialized 2 piece granite linear inspection machine in order to achieve a superior length of 240" to an accuracy of 0.00025", and we are the primary calibration and recertification source for hundreds of customers.